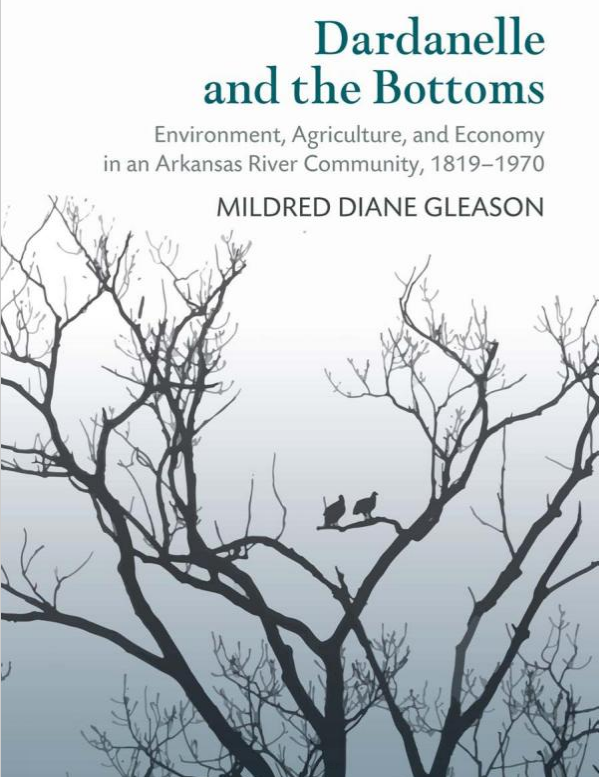 Learn about local history with a special presentation at the Ross Pendergraft Library on Monday, September 11th, as we welcome Dr. Diane Gleason to discuss her latest book, Dardanelle and the Bottoms: Environment, Agriculture, and Economy in an Arkansas River Community, 1819-1970. Join us at 7:00 PM in Room 300B of the Ross Pendergraft Library and Technology Center for this opportunity to explore the fascinating history of our own backyard. Dr. Gleason is a recently retired associate professor of history from Arkansas Tech, who ended a forty-year teaching career last May in order to devote time to historical research and writing. While at Tech, she created and taught the Southern Women’s History course, reintroduced and reinvigorated several defunct courses such as American Labor History and American Economic History, and taught a broad spectrum of other history classes. She has written several entries in the Arkansas Encyclopedia of History and Culture, Arkansas Biography, and Writing Women’s History: A Tribute to Anne Firor Scott. She co-authored Warren G. Harding, Harbinger of Normalcy with Dr. H. Micheal Tarver. Dardanelle and the Bottoms describes the interdependence between the rural farming community known as the Dardanelle Bottoms and the nearby town of Dardanelle. The book explores the history of that relationship beginning in the early 1800’s through the 1940’s and the economic upheaval brought about by changes in farming, particularly in the cotton industry. Dr. Gleason examines the complex rural/town dichotomy revealing and analyzing key components of each area, including aspects of race, education, the cotton economy and its demise, the devastation of floods and droughts, leisure, crime, and the impact of the Great Depression. This event is free and open to the public. Following the presentation, there will be a question and answer period and a book signing, with copies of the book available for purchase. For more information, contact Luke Heffley at (479) 964-0546 or lheffley@atu.edu.